La Lupi - Compañías de Flamenco | Danza | Música. La Lupi - Compañías de Flamenco | Danza | Música. 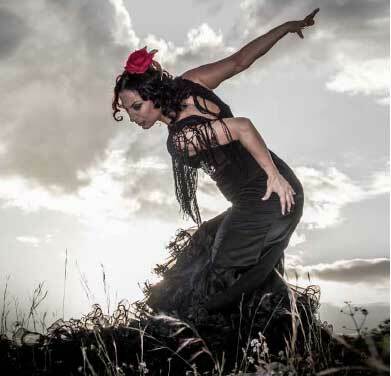 The Flamenco Company "La Lupi" stems from the need of this artist to continue growing and expressing herself through its unique way of understanding Flamenco Art. After working with the best artists of Spain as Miguel Poveda, Antonio Canales, Juan de Juan, La Argentina and Angel Rojas among others, "La Lupi" becomes a dancer global reference and after obtaining awards such as the National Competition La Perla de Cádiz in 2007 and honors as the "Feel Málaga" award 2013, her company became one of the most requested in the best flamenco festivals such as the Flamenco Festival of Malaga, the biennial of Flamenco Luxembourg or International Flamenco Festival in Toronto. Her passion, her commitment, dedication and love for flamenco has made her a unique artist and a master of this art. La Lupi is always accompanied by her inseperable Curro de Maria, along with this great guitarist form a perfect tandem and both together create the best energy around for artists who often accompany as Rocio Bazan, Antonio Campos, Oscar Lago ... this makes a good energy team that offer the best of themselves always.